This Kuden Training Event was taken at the Hombu Dojo of the Budo Ryu -School of the Japanese Warriors Way! 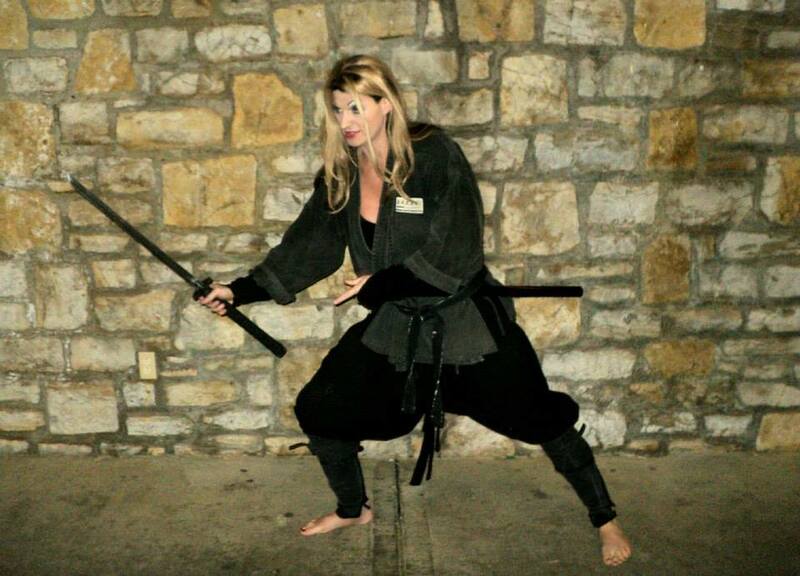 Anshu Christa Jacobson looked at the Kodachi (小太刀) or short sword fighting skills from the Tomo-ryu (戸猛流) as well as the Shinobigatana from the Togakure-ryu (戸隠流). Towards the end of the training session we looked at various methods of Iaijutsu (居合術). Watch Anshu teach Various strategies, concepts and applications of short sword techniques! aprox 45 min. CLICK HERE TO BUY & FREE VIDEO PROMO!